CBS Power Solutions approached Nuvation Energy for assistance integrating Nuvation’s high-voltage battery management system into a grid energy storage system on the remote island of Lifuka. Lifuka is a 4.4 square mile island in the the Kingdom of Tonga that had been receiving electrical power exclusively from diesel generators. In order to meet a government mandate to derive 50% of its utility grid power from clean energy, the Kingdom of Tonga contracted CBS Power Solutions to add solar power and 480 kW / 495 kWh of VRLA-based battery storage to their utility grid. The OEM BMS was not designed to support the full range of functionality needed for the micro-grid implementation, so CBS asked Nuvation to replace it with Nuvation BMS. 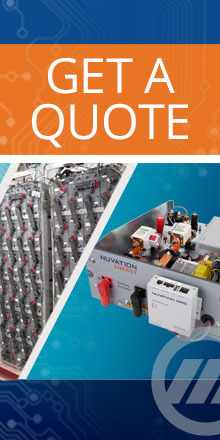 Nuvation engineers upgraded the battery management systems at the client site, assisted with system integration with the Siemens PCS, and also with ESS installation and bring-up.